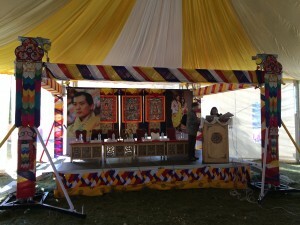 Panellists are flanked by the 4th and the 5th king of Bhutan at the podium. Imagine your country is quietly sitting in a remote area of the world, the Himalayas. Then, by launching (and redeveloping) GNH you’re thrust on the world scene. People from all over the world flock to your country to learn and be inspired by the wisdom that “Gross National Happiness is more important than Gross Domestic Product”. This phrase was first expressed by King Jigme Singye Wangchuck in 1979. Now, people in countries as diverse as Bolivia, United States, Japan, Ecuador, Bangladesh, UK, Brazil, Germany and South Africa all come to benefit from the Bhutanese generosity in sharing the idea. The concept of GNH dates back to the 1970s and the name to 1979. But for a couple of decades it remained a philosophical concept, valuable to the Bhutanese but seen as too abstract for outsiders. That changed in the late 1990s and the 2000s, when with international support and interest GNH was further engineered to become an index with 9 domains. It also gave rise to two surveys, in 2010 and 2015, mapping the level of GNH in Bhutan. (In the 2015 survey with 7153 individuals, 43.4% were ‘extensively’ or ‘deeply’ happy). Now we are in the third phase. 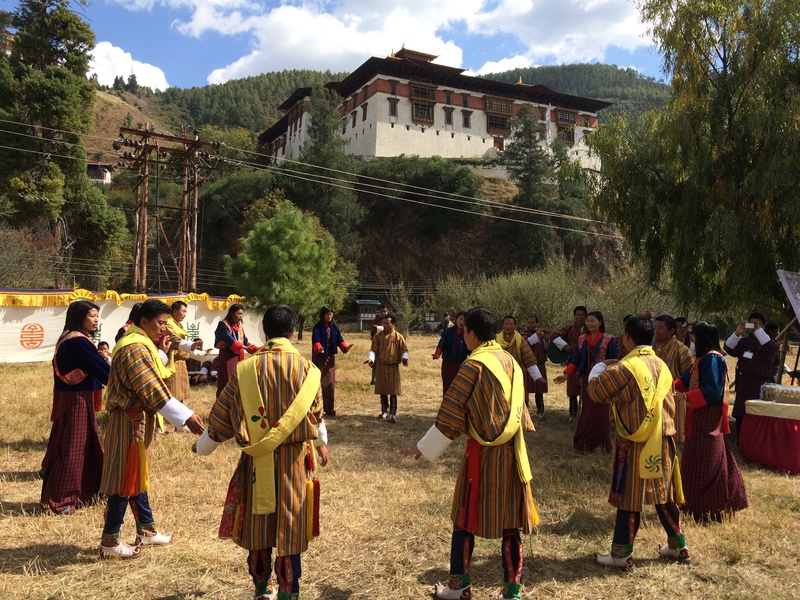 The main question now is not what GNH is about, but how can it be implemented in policy and hands-on projects. There are a set of policy tools and institutions in Bhutan available, but practical implementation is patchy now. But watch this space – GNH is in movement. The most powerful presentation by far was by Dasho Neten Zangmo. She served in high functions in the Bhutanese administration, most recently as anti-corruption chief. When her term ended last June, she didn’t stay in the capital Thimphu. Instead, she went back to a small village in Samdrup Junkhar in Eastern Bhutan, to promote zero waste, environmental preservation, and organic farming (the rise of education in Bhutan has made young people better equipped. But it also results in unemployment and a lack of new farmers unique in Bhutan’s history). In Bhutan as in Western countries, everybody say they care about the environment. But doing the right thing is not easy – it’s hard to avoid plastic bottles. The fundamental underlying point is another one: if GNH is only about providing an alternative indicator, it is not enough. We need material change in the way we look at and act in development and progress in both developed and developing countries. Or in academic terms, a paradigm shift. GNH is not only an inspiration. It should ultimately change our actions. GNH should help us to DO the right thing. Comments? Write jasper (@) forastateofhappiness.com.